Three large screens were put up to copy a part of an octagon. This setup enabled us to create a 3d depth perception through a skillful use of graphics. All three screens contained a live-in window. We used these smaller windows to feed in live PowerPoint presentation or a camera feed. 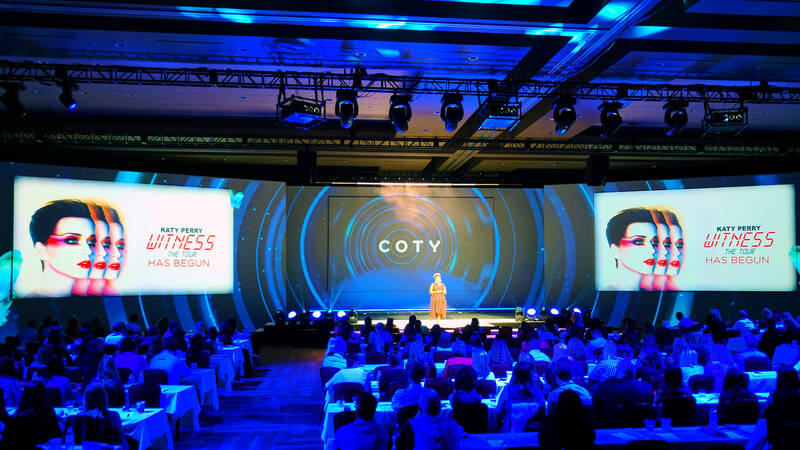 Large PowerPoint presentations were controlled by a professional clicker and we have created a 3D background matching the corporate design for each conference section. 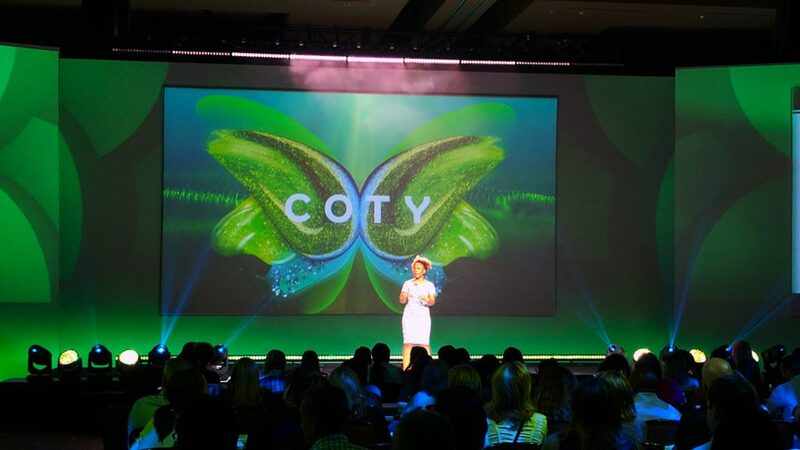 Creating custom backdrop for your presentations will enable your clients to perceive the message in a whole new way. 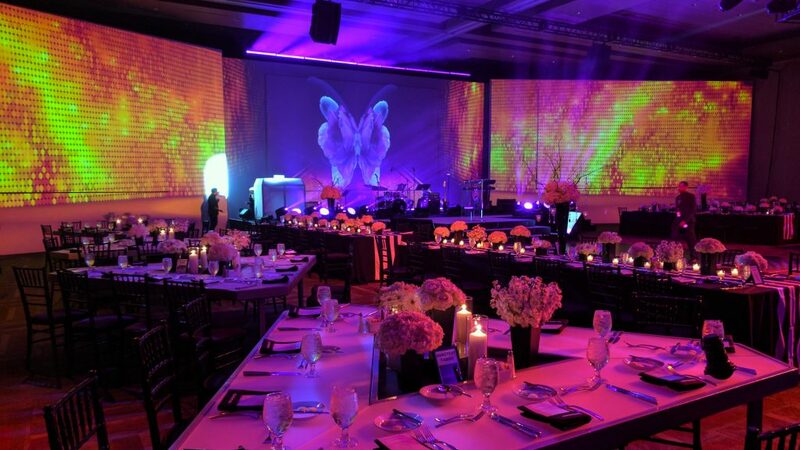 The large background screens are also used for full screen video projection to draw the attention of your audience. 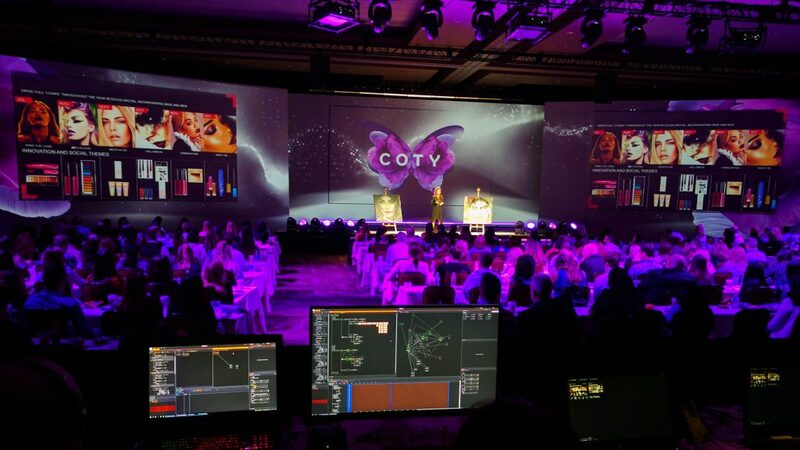 Our team has also prepared a custom background for prizes announcements at the end of the conference, as well as a VJ production for gala dinner after party. Veejaying is a popular and interactive method to make every after party an amazing experience. 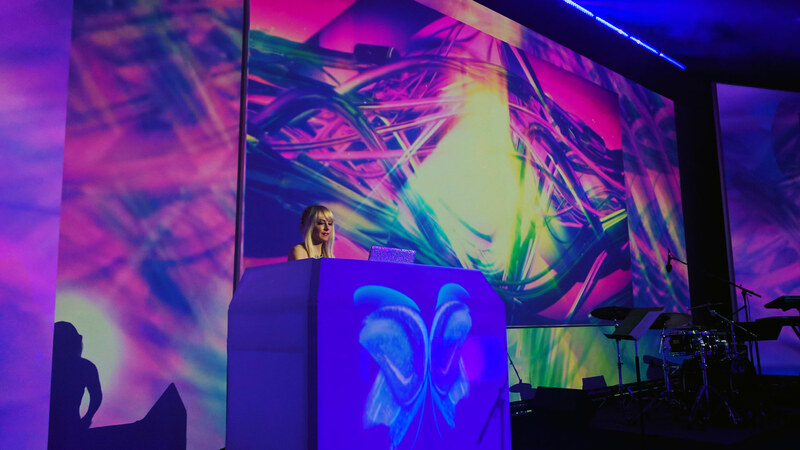 Graphics reflecting the rhythm of the dance floor will immerse your attendees and will make them dance until early hours of the next day. 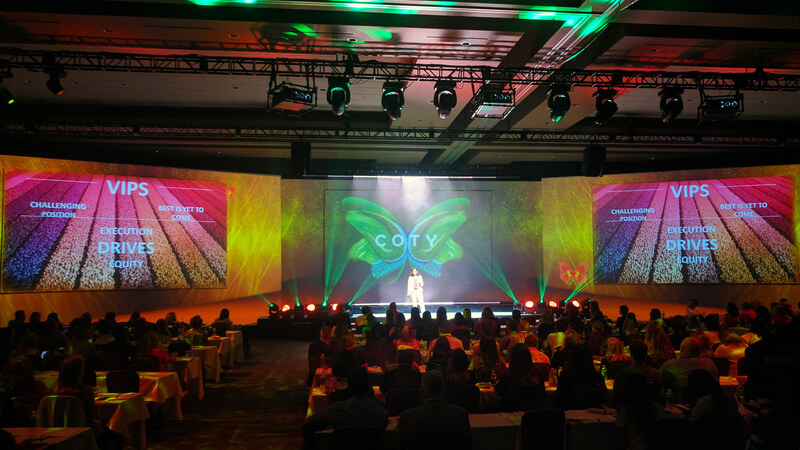 We are happy we could have contributed to this successful conference and based on the feedback, we are positive that the audience has enjoyed the enhanced corporate conference projection mapping. For more information on projection mapping, please see our 3D Presentation section.